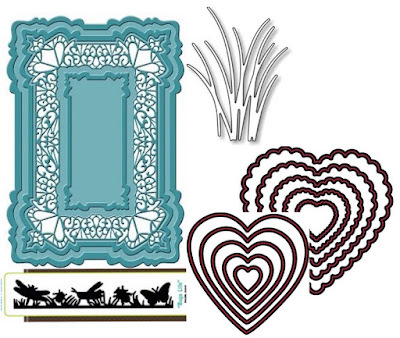 Dies R Us is an on-line store carrying a huge assortment of amazing dies by several manufacturers. 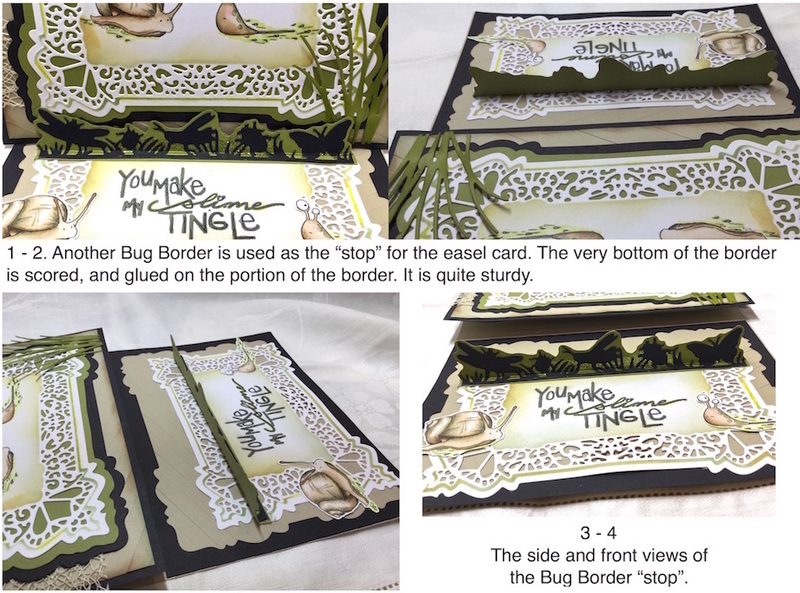 I hope you enjoy today's project. who prefers Simple and Silly. We live on a mini-farm, and my husband is constantly battling the buggies and ickies around the place here in central, rural Florida. Hence, the characters of my card. Wouldn't this card would be so sweet even without the easel effect? 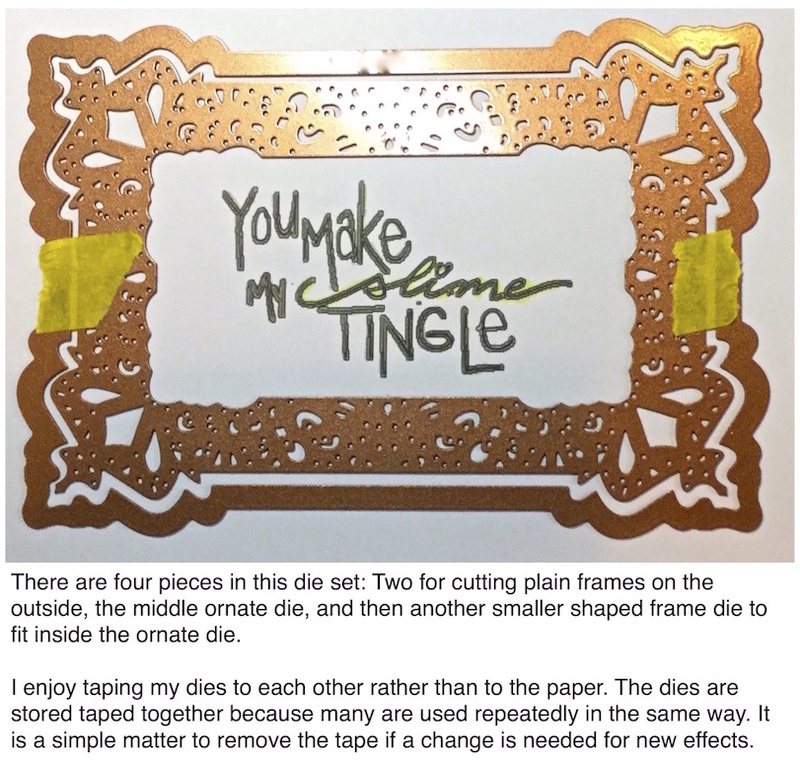 But I liked the sentiment so much, that an easel card was the only option. 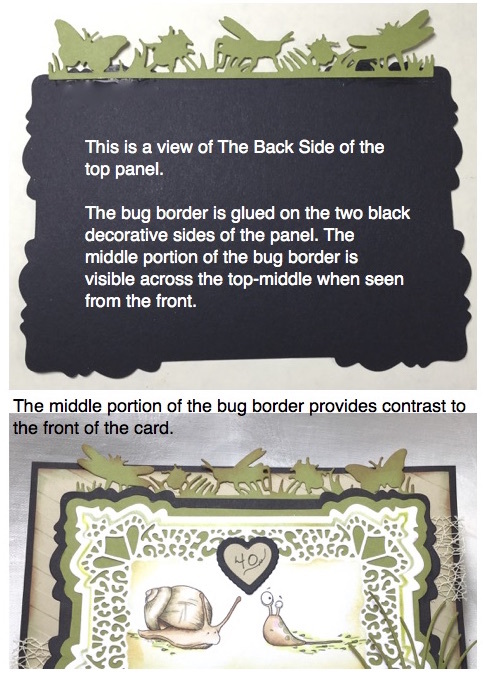 Use the same border to create cohesiveness on the top panel. Be sure to distress-ink the border for interest! For all the other information about this card, please visit my blog post here. 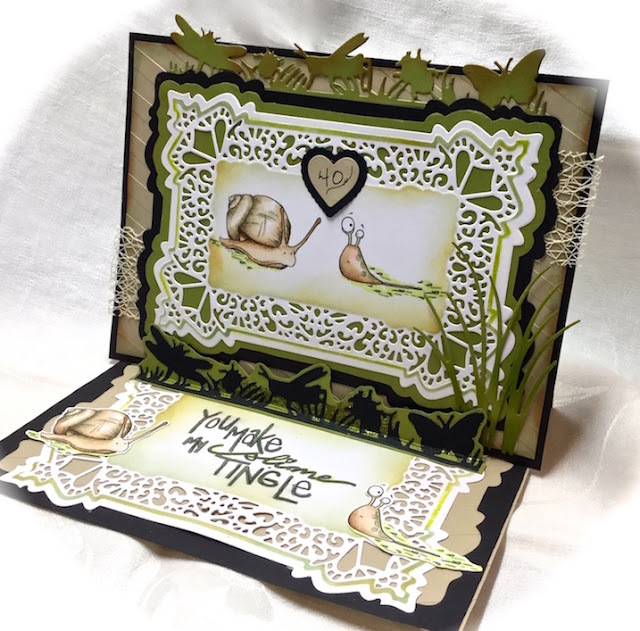 Be sure to come back tomorrow for more inspiration from my teamies! 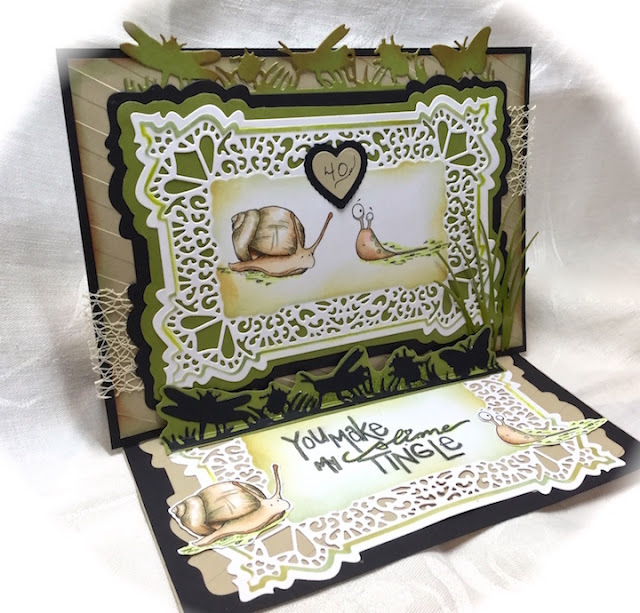 A perfect easel card for a perfect husband! I love the way you have combined elegant with humorous, it works so well. A super selection of dies used and a great tutorial. Happy Anniversary to you both, a wonderful milestone! This is so whimsical and fun! I love all the yummy layers you've added so perfectly!! Happy anniversary to you both!!! Congratulations on your Anniversary, Donna. 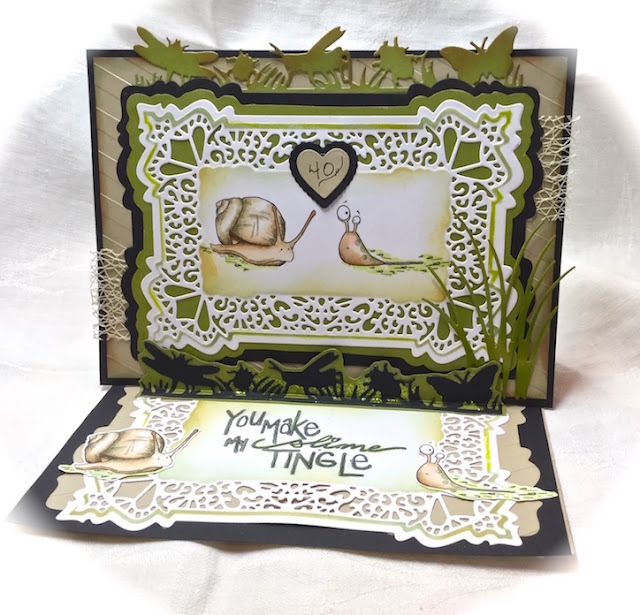 Love your card and the combination of dies you used. They all go great together. 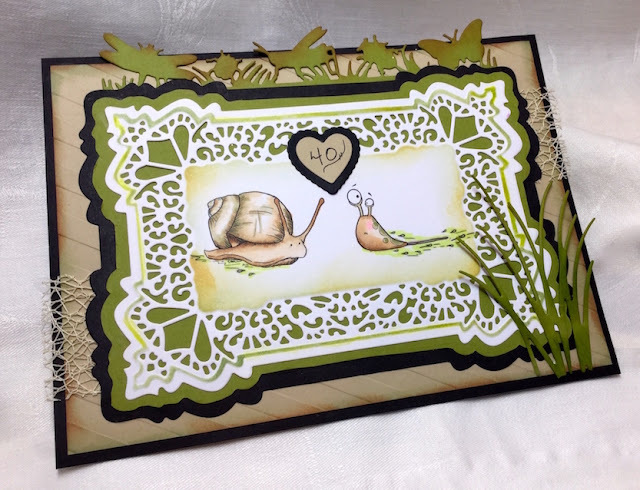 Oh Wow Donna that is just amazing, I love that die for framing and your coloring of these little guys is outstanding, love the use of the bug border dies too, so cool! Sounds like it is just perfect for your hubby, Happy Anniversary to you both! !